Everybody is Earthing Now So How Come You Aren’t? Ya Know? Grounding! Los Angeles, CA, USA – Local Registered Nurse and Reiki Master Terry Robnett is at it again. 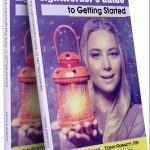 After her launch in May with “The Lightworkers Guide to Getting Started”, she is already releasing yet another new book in the series entitled “The Lightworkers Guide to Grounding Energy”. This is now the fifth Spirituality based book published by Robnett under the Liberto Press imprint in Castle Rock Colorado. The book series is a joint venture by two very well-known and successful Spiritual Coaches Terry Robnett and Amy Scott Grant. These two successful entrepreneurs created a partnership, LWG Enterprises LLC, with a mission to empower the people. As the knowledge and practice of alternative health modalities continue to rise in the United States, so does integrative medicine. This means that more and more practitioners like Robnett, who is also a Registered Nurse, utilize it to not only heal but empower people in their own health and wellbeing. Take notice of the most recent Time magazine publication on “The New Mindfulness”. A Special Edition magazine entirely dedicated to natural and healing benefits of modern calm, life balance and body harmony. Robnett is a Best-selling author and speaker. 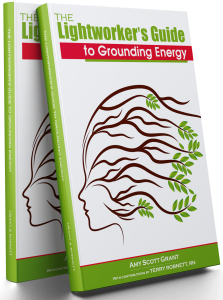 Her newest book partnered with Amy Scott Grant covers many successful and already proven methods on how to “get grounded”. Many refer to grounding as “earthing”. In short, it simply means being centered or well balanced. 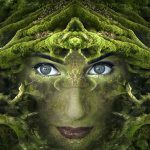 In Metaphysical and energy terms, it means connecting to the earth and benefitting from its steady, stable energy that has the power to do so many incredible and miraculous things. “This book will help a lot of people help themselves,” says a reader very excitedly. “It started out with one book, then two, but it has turned into a whole lot more,” Robnett explains. The co-authors’ private Facebook community, which shares the same name as the book, takes on many of the questions and challenges in a real-time forum. Also providing tools and community support. While creating this series of books Robnett has come to realize through hearty feedback that the readers are most moved by the shared “personal stories” which they found to be “extremely helpful and relatable which a lot of other books miss the mark on”. People like to learn and know that they have options to enhance their own mental, emotional, spiritual and physical health and wellbeing. 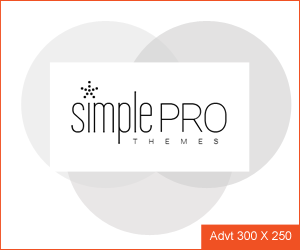 “This book gives you all kinds of doable options,” says another reader.